"If I Could Go Far Away" is rich in texture and exhilarating color. I created this abstract painting using archival-grade oil paint and natural non-toxic solvent on luxuriously thick, 1.5" deep gallery wrapped canvas. The edges are painted and the piece is ready to hang. 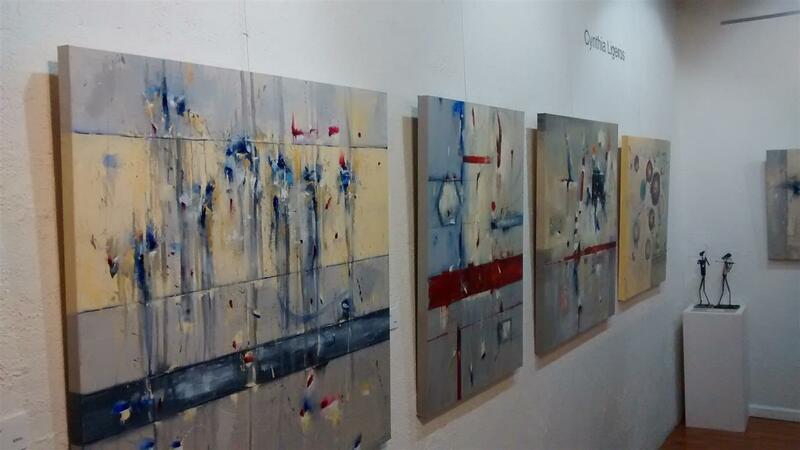 Cynthia Ligeros creates abstract, complex works that usually begin with a single driving emotion. 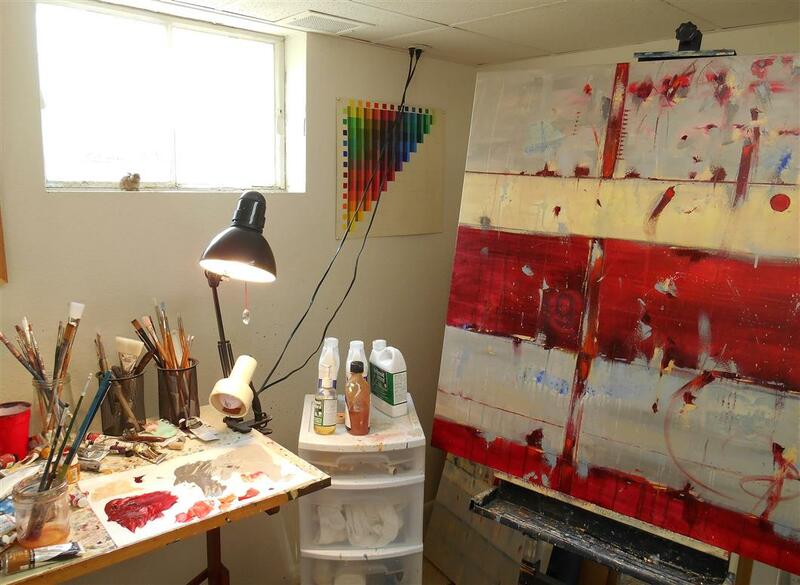 She currently lives in Colorado and loves the work of many artists, such as Mark Rothko. Cynthia loves finding inspiration in the beauty of the Rocky Mountains. If you look closely at any of her paintings, you can find a little bit of blue sky hidden somewhere. That is such wonderful news! Thank you so much Frank! Beverley, It's so wonderful to hear that you love your painting! Thank you so much! Cynthia, I absolutely love my painting. I have waited a very long time to purchase one and I am so happy I did. It gets more stunning every time I look at it and gives me so much joy! Happy, artful 2014! A huge thank you to my collectors - you inspire me with your support more than you know. If there's something you'd like to see more of this year, please let me know here on my blog. Hi! 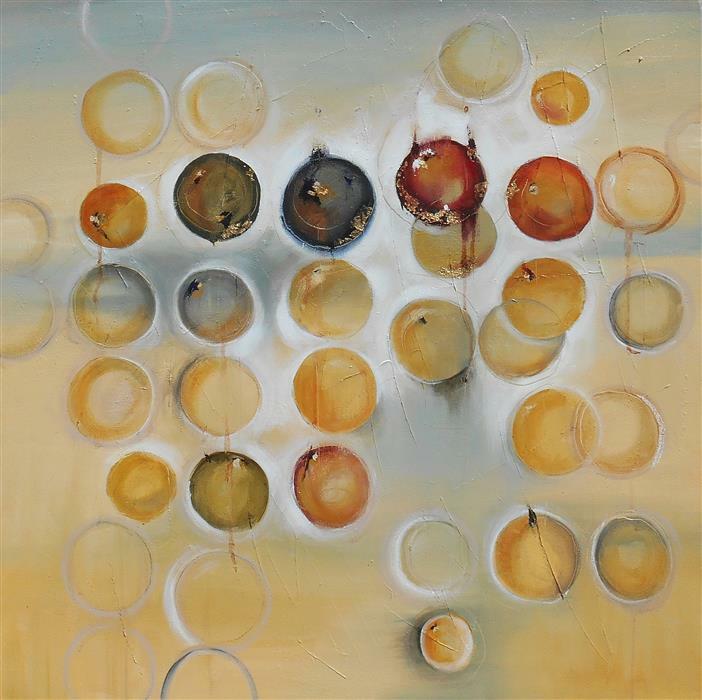 I just wanted to let you know that the 48"x48" painting I was telling you about called Pieces of Light is now for sale on UGallery. You can find it on my profile page. Thanks for looking! Thank you! I'm so glad you like those pieces. I actually just completed a larger painting similar to Ascent and Silent Radiance. My new one is called Pieces of Light. It's 48" x 48". I also do custom oil paintings, so I can create a custom piece to your exact size. Just click the "commissions" button on my UGallery portfolio. Thanks! I find ascent and silent radiance very interesting. Do you happen to have anything similar, but much larger? Thanks! Thanks for sharing! I'm glad you like it. I see penguins. Now geese. Flying away. Is it Modern Art? Abstract Art? Contemporary Art? The lines between different art movements get blurry around the edges. The definitions of modern art, abstract art and contemporary art can sometimes be a little confusing. Technically, an "abstract" oil painting has no representational elements. It's not a picture of any "thing" you can pick out. Still, it's hard to look at a good painting and not see something in it. The real question is: when you look at a painting, how do you feel? That's how you find a painting you love. Thank you so much! I'm so thrilled you like it! We love it! It catches the eye even before you enter room and creates a great atmosphere. 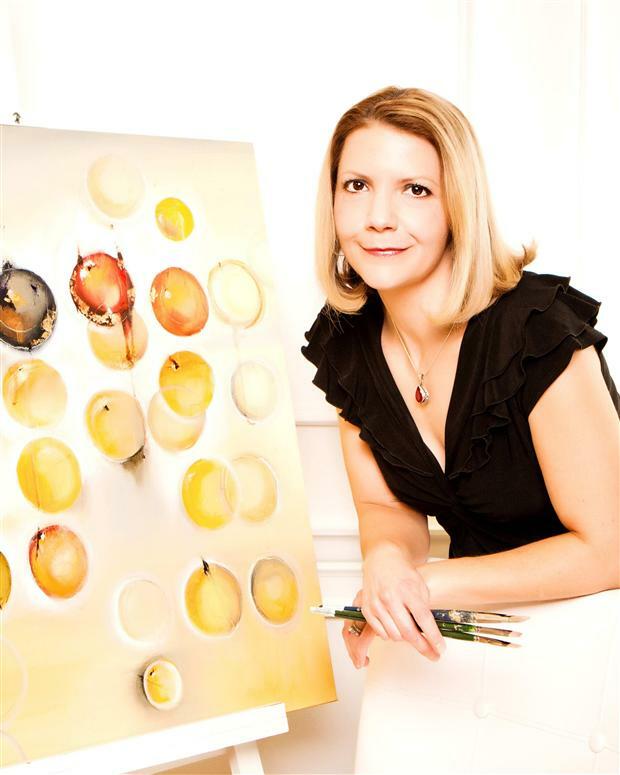 I'm so excited to be featured in Professional Artist Magazine! I'm appearing in the February 2012 issue. It's such a huge honor, since I've read Professional Artist Magazine (formerly Art Calendar) for years. And now I'm in the Artist Spotlight section. The article features two of my paintings, along with my thoughts about how any artist can creatively grow by experimenting with painting abstracts. I also talk about what inspires my art and the things that drew me to paint abstracts in the first place. I'm so excited and grateful for the opportunity to be a part of such an amazing magazine! Abstract art ideas for your home Don't make the mistake of trying to find a piece of art that exactly matches the colors of your room. Because the paint will never match your room's colors precisely, you might end up with something that looks a little bit off. Instead, shop for a piece that's boldly different. 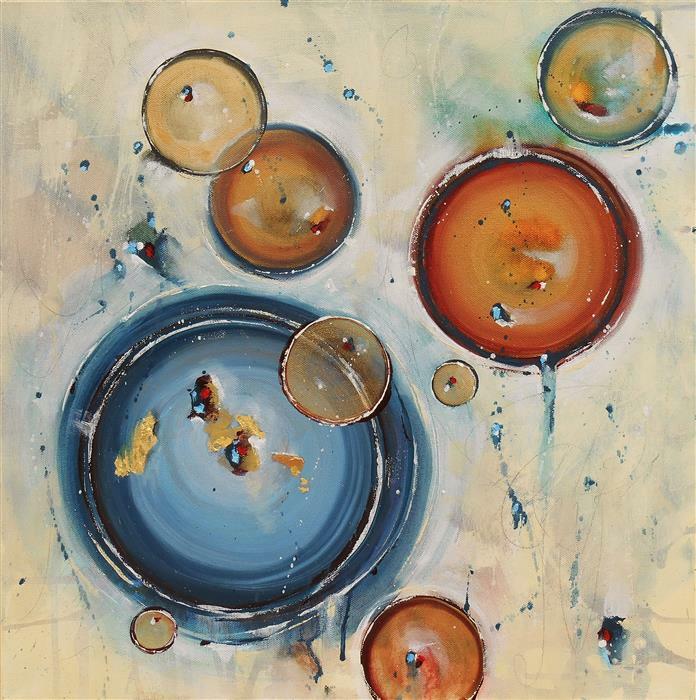 Look for an original oil painting that stands out and really makes your decor come alive. 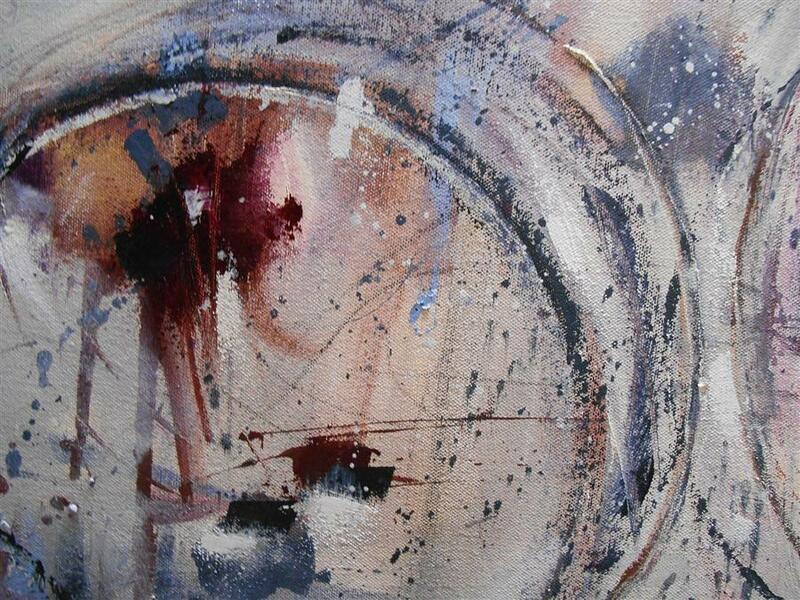 What do you see in an abstract painting? 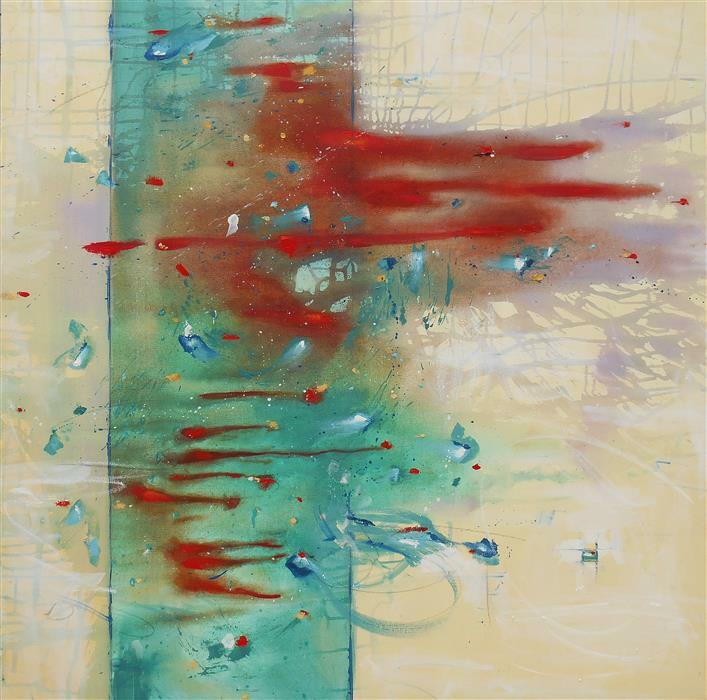 An abstract oil painting appeals to different people for different reasons. You might see shapes and colors that remind you of a favorite place. 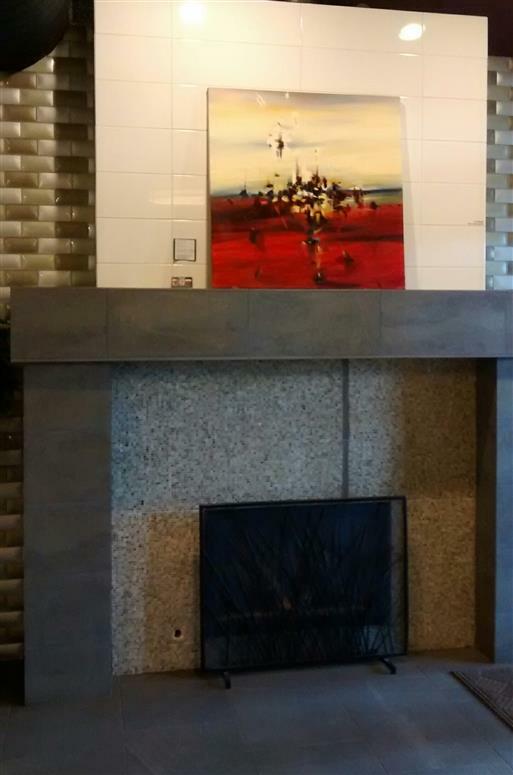 Or the composition of the painting might evoke an emotion for you, whether soothing or energizing or uplifting. Whatever the reason, trust your personal taste and go with a painting that you love. 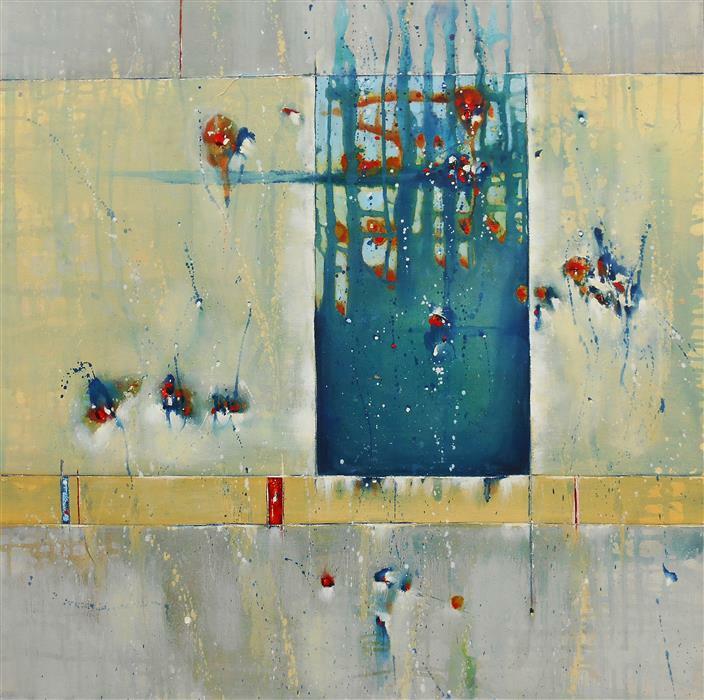 Is abstract art right for you? 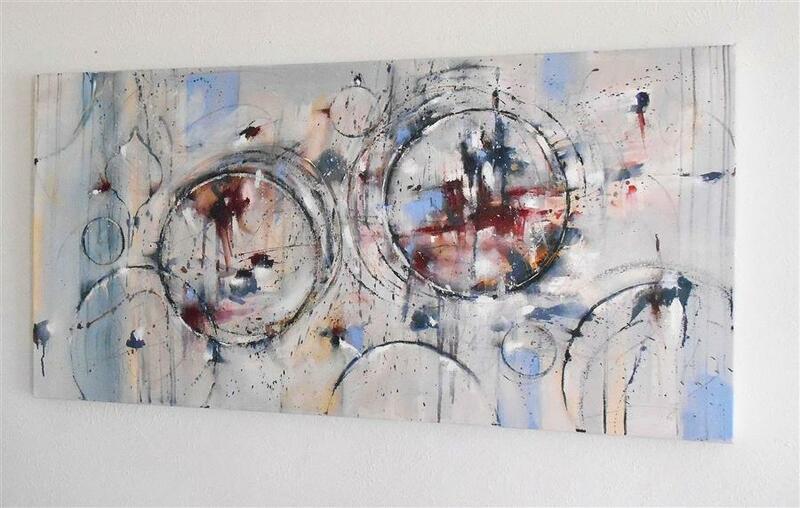 Buying your first piece of original abstract art can be daunting. But it can also be a lot of fun. The key is to focus on finding a piece of art that you personally enjoy. When you look at the art, your gaze should continually be drawn back into the painting. Don't be intimidated at the prospect of buying original art. Trust what you like and go with it! Why choose an abstract oil painting? 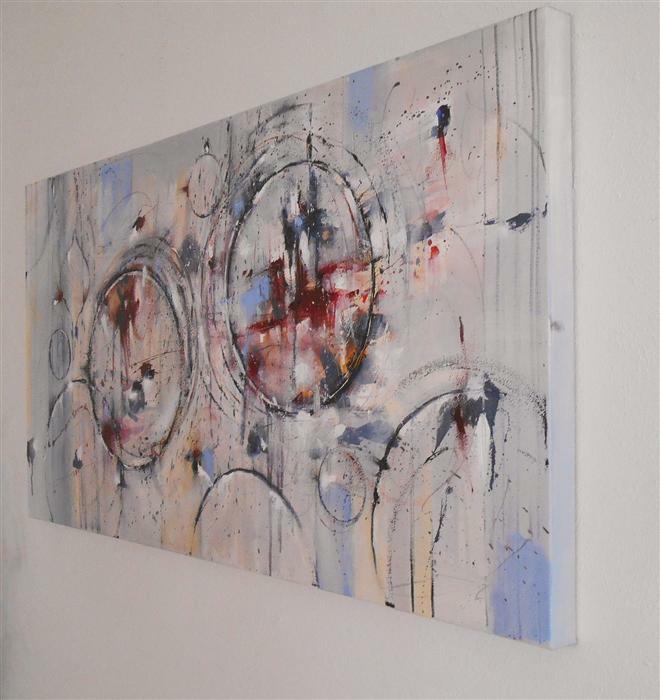 The beauty of abstract art is that it goes with any decor. Whether your taste runs from traditional to contemporary, or your own eclectic mix, you can find the perfect abstract painting for your home. Go ahead, be bold with colors and styles. Feel free to experiment! A Few of My Abstract Art Oil Painting Techniques Ever wonder how an artist starts with a blank white canvas and transforms it into a beautiful oil painting? I get a lot of questions about my oil painting techniques, because every artist works differently. My method often involves building up my paint in layers, creating a texture that adds depth and character to my abstract art. Sometimes, I'll dig down into the paint to expose deeper layers, showing you glimpses of the painting beneath. Want to know more? I'm always happy to talk about my art. Just ask me! I'm so glad that Fragment found a good home! Hi there! If anyone has any questions about my work please don't hesitate to ask. Thank you for looking!